The electrical lawn mowers are the best and the safest tools used in lawn trimming. They are also friendly to the environment and economical tool used by several homeowners. You need to think of ways of increasing the life span of your cordless electric lawn mower when you are buying one or if you have one. 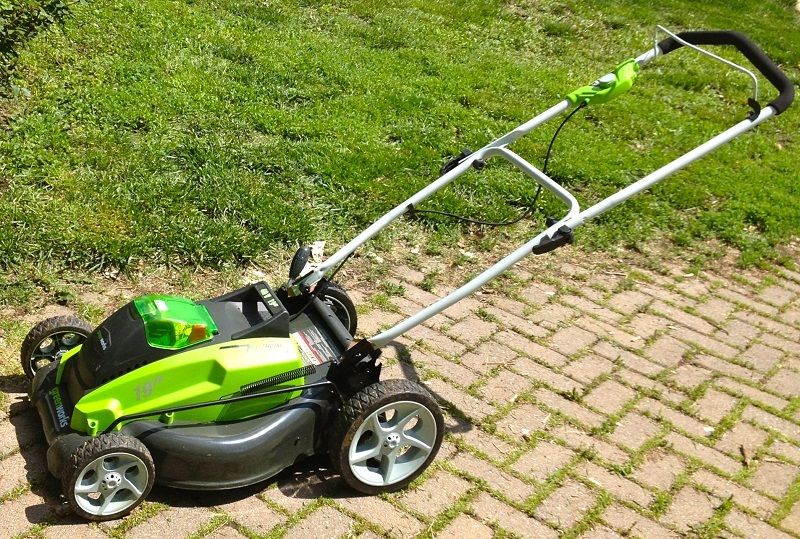 This mower is cordless, which means it does not have a cord to supply power. I am going to share with you a few tips you can use to increase the life span of your mower and make good use of it. 4 4. Check and Clean it Frequently. The cordless mower mainly operates using a battery. The battery is mainly rechargeable and it is usually sold with the mower. This is the main source of the power to your battery and therefore you must take good care of it. It is very expensive to replace it so you need to be extremely careful when you are using it. When you are charging the unit of the battery, you should follow the instructions of the manufacturer. You should try not to use the battery until it is completely empty. The power level indicator on the mower would tell you exactly the level of the charge in the battery. You should also remove the battery of your mower when you want to keep it for a long period of time without using it. This is mainly on winters or when you are not planning on using it for a long time. You should check the yard you want to mow before you mow and remove any objects that might harm your cordless electric mower. Examples of these objects are the sprinkler heads, dog bones, children’s toys and the hoses. They are extremely dangerous if you mow over them. Mowing over these objects would also break your mower blades and the electric mower deck. You should be cautious when you are mowing near the gardens edges and the fences. You should switch off your cordless electric mower when you are crossing paths or places where there is no grass. After you have finish mowing, do not leave your mower on the place you had just finished mowing. The weather might affect it. Your cordless electric would wear and tear because of the snow, sleet, hail and the rain. This would only reduce the life span of your mower. The good place where you can store your mower is the garage or a shed. This would ensure it is protected from the elements that might cause it to wear and tear. There are several electric-power mowers that are fitted with collapsible handles and which fold completely. This would allow you to store the mower in a small space and also in compact spaces. 4. Check and Clean it Frequently. The cordless electric lawn mowers do not require a high maintenance and which is opposite to the traditional gas powered lawn mowers. It is not necessary to replace or change the air filters and the air plugs. Changing the oil will also be not necessary. For your cordless electric lawn to be in good shape, you must make sure that you clean it regularly. It should be after you finish mowing. This would make sure that you will be storing it when it is clean and which will make it to function properly the next time you will be using it. You must always make sure that the power of the mower is turned off and also the safety switch. The power cord of the corded mower should be unplugged if you are not using it. The cordless electric lawn mowers are the best tool used in maintaining the lawns. There are several brands you can choose from. You must do your research and make sure that you are using the best cordless electric lawn mower. With the methods that i just mentioned above, you will be able to maintain your cordless electric lawn mower perfectly well and increase its life span.